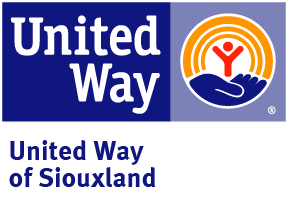 United Way of Siouxland's mission is to enhance Siouxland's capacity to care for one another by working together through effective partnerships and leveraging resources. A strong community has a system of quality non-profit agencies that offer health and human services to improve the quality of life for all. We are working toward making lasting changes in our community by fighting for the Health, Education, and Financial Stability of every person in Siouxland. We know that what we do today will impact tomorrow, click here to see our Agenda for Change that serves as a guide to help us on the journey. Organizations that qualify as exempt organizations under section 501(c)(3) of the Internal Revenue Code of 1986, as amended (or corresponding section of any future federal tax code), or to organizations defined as charitable under Section 170(b)(1) of the Internal Revenue Code of 1986 and its Regulations as presently existing or as hereafter amended. United Way of Siouxland developed the community impact process with the philosophy that it is supported by the community, for the community. Therefore, these grant awards are determined by volunteer panels made up of donors, content experts, and community volunteers. The annual grants are used to invest in a wide array of agency programs and services, with a focus on achieving the goals outlined in our Agenda for Change. As custodians of community contributions, strict accountability is expected and required of all annually funded partner programs. Click here for the annual community impact funding policy and procedures. The FOCUS Grants Program is an outreach of our community impact funding process. These one-time grants, between $20,000 and $50,000, will be awarded to programs or initiatives aligned with community outcomes outlined in the Agenda for Change. Click here for FOCUS Grant eligibility requirements & instructions. The intent of the Small Grants Program is to provide support for community projects, programs, or initiatives in need of a small, one-time grant between $1,000 and $5,000, but may not be eligible for funding through other grant opportunities.  This grant is currently open - the grant is open until funds run out. For more details call 712-255-3551. Click here for Small Grant eligibility requirements & instructions and click here for the application.